As previously announced, the 2018 Symons Medal will be awarded to internationally-acclaimed historian and author Dr. Margaret MacMillan, C.C. The award will be presented to Dr. MacMillan at the Centre on November 23, 2018. The Symons Medal is one of Canada’s most prestigious honours and recognizes an individual who has made an exceptional contribution to Canadian life. Since 2004, the Centre has honoured 17 distinguished Symons Medallists. Held each fall, the medal ceremony creates a national platform for a prominent Canadian to discuss the nation’s current state and future prospects. MacMillan’s lecture title refers to the emergence of Canada as a nation during the First World War and – within the theatre of war. 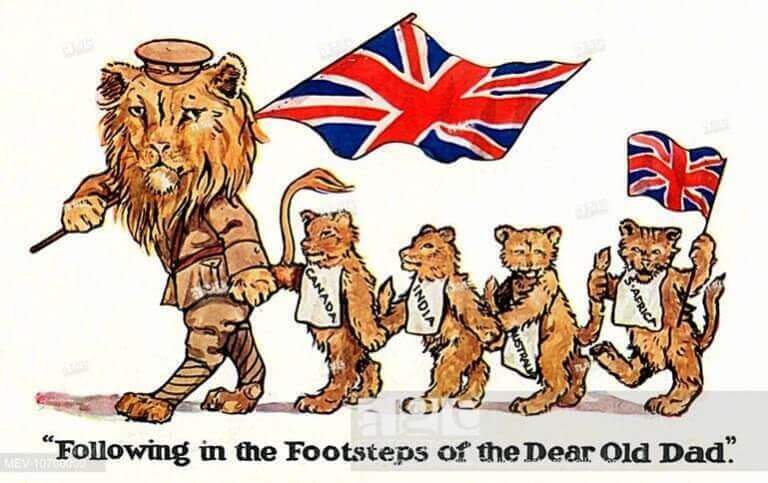 and political cartoons in particular – Great Britain’s role as the paternal lion and Canada and commonwealth nations as the cubs who follow. Professor of history at the University of Oxford and former Provost of Trinity College at the University of Toronto, MacMillan is one of the world’s most distinguished specialists in modern international history. She is known as a historian whose published work is engaging for both experts and general audiences. Also known for her insightful contributions to public discourse, she is a sought-after commentator on pressing international issues of our time. MacMillan recently concluded a tour with the BBC’s Reith Lectures, an internationally renowned series now celebrating its 70th year. She delivered five lectures exploring the relationship between humanity and war in London, York, Beirut, Belfast, and Toronto, which are now available to stream online at BBC Radio 4. The 2018 Ceremony will take place in the Homburg Theatre at Confederation Centre in Charlottetown, P.E.I. The medal ceremony and lecture will be livestreamed on the Centre’s YouTube channel and available on confederationcentre.com shortly thereafter. Tickets for this important event will be available to the public via the box office on Saturday, November 3 at 10 a.m. There is no cost to attend but a printed ticket is required for admission and the booking limit is two tickets per person. As always, Confederation Centre donors receive priority access to tickets; Founders’ Circle members will be able to book their tickets beginning November 1. For more information and to become a member of the Founders’ Circle for as little as $25 please visit www.confederationcentre.com/membership. For more information, please visit confederationcentre.com/heritage/symons-medal-and-lecture-series and follow event updates on social media @confedcentre and via hashtag, #Symons2018.